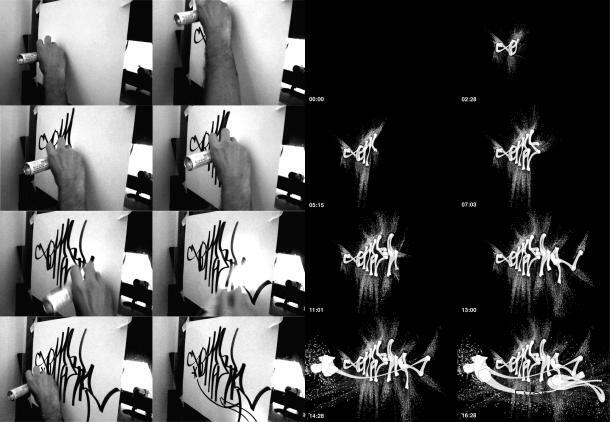 Graffiti Analysis 2.0 is a project created by Evan Roth in which the motion data of a graffiti tag is recorded, analyzed and archived in a free and open database. For Graffiti Analysis MFF2010, local artists, illustrators, graffiti artists and the general public will be invited to record and submit their gestural creations, a selection of which will be displayed throughout the Media Facade Festival 2010. 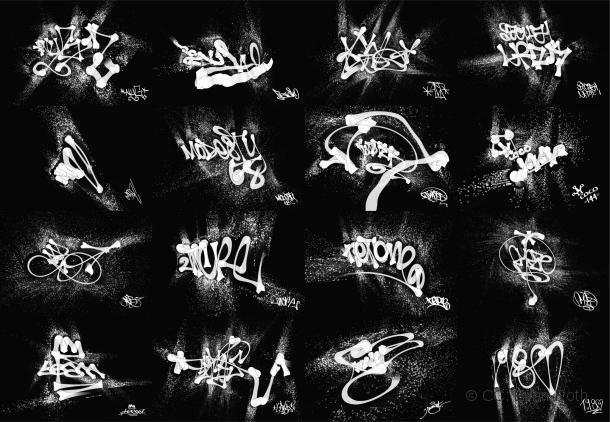 All tags created in Graffiti Analysis are saved as Graffiti Markup Language (GML) files, a new digital standard used by other graffiti applications Roth has helped develop, including Laser Tag and EyeWriter. Evan Roth is co-founder of Graffiti Research Lab and F.A.T. (Free Art & Technology), a worldwide connected R&D lab for the public domain. His work focuses on tools of empowerment, open source and popular culture. He teaches courses on visual programming and Geek Graffiti. He has been a fellows of Eyebeam, New York His work is featured in the Sundance Film Festival, the Moma, and on BET. He has worked on projects such as the EyeWriter to empower people who are suffering from ALS, helping them to draw using only their eyes. The Free Art and Technology Lab is an organization dedicated to enriching the public domain through the research and development of creative technologies and media. The entire FAT network of artists, engineers, scientists, lawyers, musicians and Bornas are committed to supporting open values and the public domain through the use of emerging open licenses, support for open entrepreneurship and the admonishment of secrecy, copyright monopolies and patents. 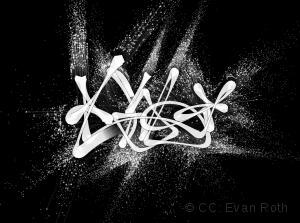 art group dedicated to outfitting graffiti writers, artists and protesters with open source technologies for urban communication. The members of the group experiment in a lab and in the field to develop and test a range of experimental technologies. They make documentation available for everybody.